Make the most of our Christmas Sale offers, available both online and in-store until 1st January 2018! Whether you’re looking for some last minute gift ideas for Christmas or you’re looking to treat yourself in time for the New Year, we’ve got you covered. All shops will resume normal business hours as of Tuesday 2nd January 2018. 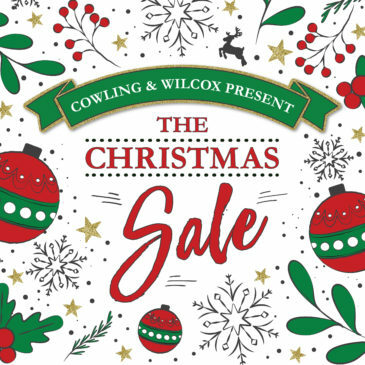 Merry Christmas and a Happy New Year from all of us here at Cowling & Wilcox!